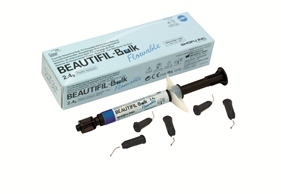 BEAUTIFIL-Bulk Flowable is a low-viscosity, bulk-fill composite indicated for use as a base/liner in Class I and II restorations. 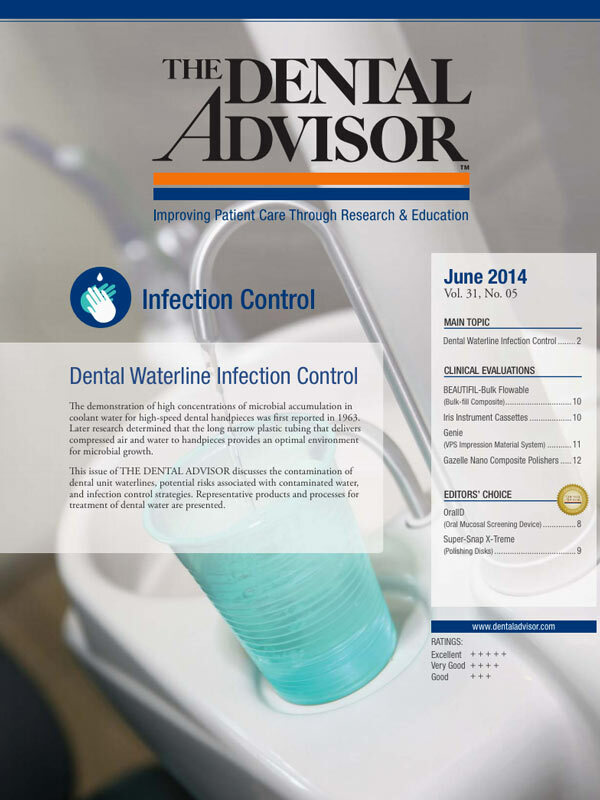 It offers continuous fluoride release and rechargability and low shrinkage stress. The composite self-levels and has a 4 mm depth of cure. BEAUTIFIL-Bulk Flowable comes in 2.4 g syringes with 18G needle tips or 0.23g compules. Curing times with an LED light are 20 seconds for the dentin shade and 10 seconds for the universal shade. 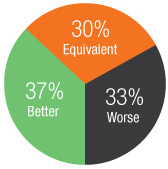 BEAUTIFIL-Bulk Flowable syringe was evaluated by 30 consultants in 608 uses. 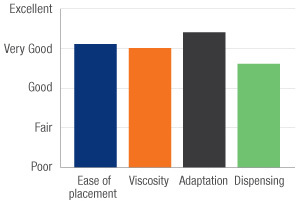 This flowable bulk-fill composite received an 88% clinical rating. BEAUTIFIL-Bulk Flowable is a very good option as a base layer in composite restorations. The material adapts well to cavity walls and self-levels on the surface. The 4 mm depth of cure allows efficient filling of deep areas without incorporating air bubbles or voids. This high-viscosity flowable is easiest to extrude through the large gauge tips included. 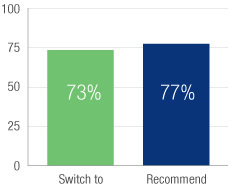 Consultants appreciated the fluoride release as a positive feature, especially when used to fill cervical areas.